Your friendships with your girlfriends are some of the most important relationships you'll ever have. They're beyond gold—they're platinum. And like anything precious, they don't come for free. Read on for 25 of the best ways to celebrate and maintain your treasured female friendships. 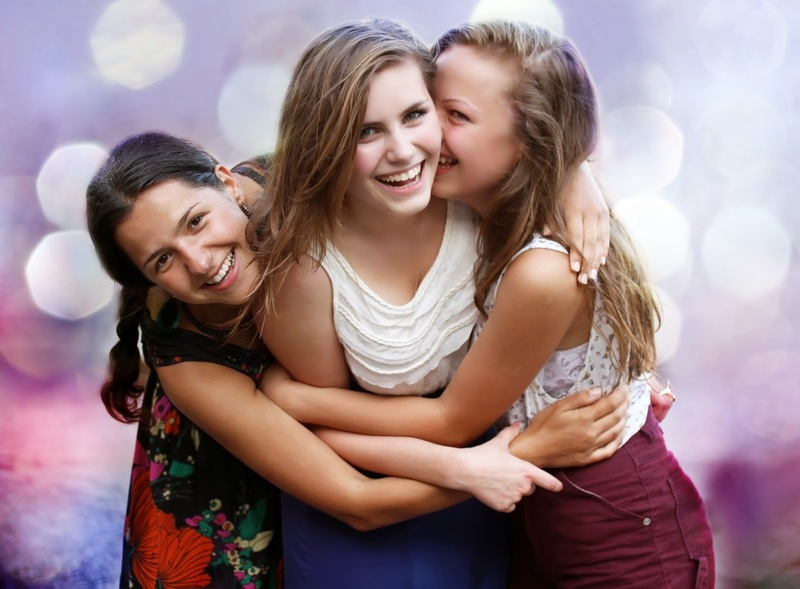 So how do you keep your women friendships shining brightly? You've got to put effort into them. In this busy world, we don't always remember to put our female friends first, so here are a few gentle reminders. Speaking of the '90s, do you remember the song that kicked off each episode of “Friends”? “I'll be there for you,” The Rembrandts sang, because, really, friendship is all about loyalty. No matter what happens, make sure your friend knows you have her six. Sometimes our friends make choices we wouldn't. If you think she's doing a wrong and hurtful thing, be honest. But if you simply have a difference of opinion—she thinks her guy is hilarious, you've heard all his jokes five times—make yourself laugh and tell her you're happy for her. When you've agreed to help her move, don't just carry the spider plant. Give it your all when you're doing something for a pal. Being present isn't just for mindfulness meditation. When you're scheduled to meet, be prompt. Showing up late tells your friend that you don't value her time (or the friendship). By all means, tweet and text your girlfriends. Just remember that even the flashiest social media can't compensate for real life. Make time to see each other in person. It's a multitasking society, yes, but when your friend is talking, genuinely listen. Make eye contact. Put your phone away. Friendship flows two ways. If you're the one with a problem, let your friend be there for you. Even if you're upset, don't shut her out. If misunderstandings arise with a friend, don't be afraid to talk them out—and even to set some ground rules for how you will interact in the future. Like we said, rules can be good. Friendship contracts can avoid future confusion, anger and hurt feelings. Honest talk can lead to arguments, but don't be afraid to have a talk as long as you fight fairly. It's often healthier than bottling up resentment or frustration—there's no telling how those feelings might burst out. Again, play by the rules, such as criticizing a behavior instead of a person. If you're going to fight, save it for a big problem. Nitpicking isn't worth it. We know this one is tough, but try your best not to hold grudges. If the fight is over, it's over. Keeping quiet isn't just about holding your tongue over a little thing. The beauty of a true friendship is how much you enjoy each other's company, even when you aren't really doing or talking about anything. Remember that silences naturally happen when real friends are talking. Enjoy them. Another sign of a strong friendship is when you can go a while without seeing each other and then pick up where you left off. Don't get pushy or insecure if your pal is too busy to see you for a bit. If it's real, it'll endure. When your friend's hurting, remind her it's OK to cry, and even shed a few supportive tears if you want. And remind her that crying is good for you. Research shows that crying can get rid of stress hormones and spur the production of endorphins. Remember to be there for both the tears and the laughter. Your girlfriends need you to celebrate the wins, too. You may be jealous of those wins. You may be having a tough run. But the time to complain is not while she's accepting her Oscar. Remember whose moment it is. Conversation should be a balance, not a monologue. Make sure you give your friend a chance to get a word in. In that balanced conversation, don't forget to ask about the current hot topics in your friend's life. Did her son get into private school? Did her husband get that job? What happened on “Scandal” last night? While you're at it, don't forget your best friend's birthday. Come on. Does she play on a football team? Bring her cocoa on a cold night. Does she make earrings? Wear a pair and tell everyone where you got it. I act in local theater, and one of my friends attends every show on closing night. I love seeing a friendly face, and when I'm sad about the show closing, that support is even more welcome. Dynamics can change when your best pal brings a new friend into your social circle. Even if you're not sure you like this interloper, give her a chance. Remember, your friend may be nervous about introducing the two of you. Has your friend moved to a new city, or is she looking for a job? Use your connections and see if there's a helpful person you can introduce her to. My friends have found me gigs, guys and awesome hairdressers. Remember when you were starting college and working hard on making friends? Every day, you would put extra energy into forging strong connections. Don't slack off now. You may have known your friends a long time, but that doesn't mean they deserve any less energy than new acquaintances. Despite your best efforts, you probably won't remember all these suggestions all the time. When you mess up, own it, and apologize. You've followed all the rules and been the best friend anyone could be. However, the story isn't complete until you recognize that your friend is a pretty darn good pal, too. Show your appreciation, and keep that wonderful cycle of friendship going strong.